Ahh the Gold Pan Rivalry. It's back. Oh thank goodness it's back. The 2015-16 edition of one of the best rivalries in the history of college hockey is about to begin and not a moment too soon for the Pios. 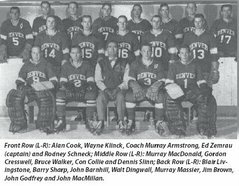 This weekend, #9/12 Denver (3-3-0) will look to notch its 6th straight victory against their rivals from down south, unranked Colorado College (0-8-0). The Pios are coming off a heartbreaking weekend in which they lost two one-goal games against Boston College (4-3 on Friday) and Boston University (5-4 in OT on Saturday) while the Tigers are coming off of yet another winless weekend, this time against North Dakota (5-2, 2-0). Needless to say, both teams will be desperate to win this weekend. Rivalry hockey is always fun to watch and the added element of desperation will give the weekend a completely different element to this home-and-home weekend series. Goals haven't exactly been difficult to come by for the Pioneers as they've averaged 3.5 goals per game. It's been the defense and goaltending that has let the team down, especially on the road as they've allowed nearly 3 goals per game total and almost 5 per game on the road. 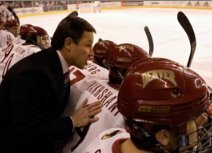 It hasn't been the volume of goals allowed for the Pios as much as it has been the timing of these goals that has troubled Denver. Coach Montgomery explained after the Boston weekend that the team needs to focus on avoiding "momentum goals," that is, goals scored in the first and last few minutes of each period. 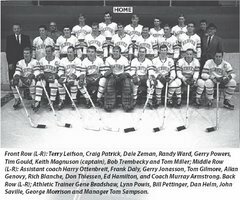 It was such a problem in Boston that 6 of the 9 goals scored against the the Pios were scored in within just 2 and a half minutes of the open or close of any given period (including overtime). Unfortunately, that has been a theme in this young season. Even against Air Force and Michigan State, the Pios habitually gave up a goal or at least a very high quality scoring chance in the early going of every period. According to Montgomery, addressing this problematic tendency was going to be a main focus at practice this week. 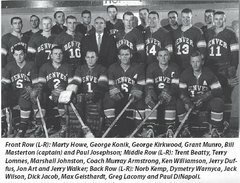 It's reasonable to believe that if Denver had played better hockey during these key stretches of the games in Boston, they would have come back to Denver at 5-1-0 instead of 3-3-0. 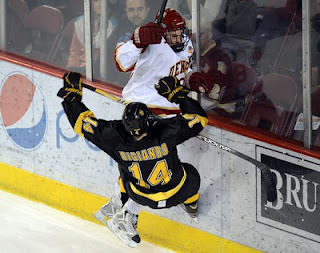 The good news for the Pios this weekend is that CC is struggling to score goals this year. The Tigers have scored just 11 goals (1.375 GPG) and just one in the early/late stretches of periods. Granted, six of their games have been against top 10 teams (UMass-Lowell, Boston College, and North Dakota). Coming into the weekend, one of the biggest (and most surprising) question marks for the Pios is the goaltending situation. Prior to the trip to Boston, it seemed like the goalie rotation between Tanner Jaillet and Evan Cowley would be one of the team's biggest strengths. The Boston weekend added at least an element of confusion to the goalie situation. Both goalies struggled at times during the weekend and Jaillet was even pulled in the 2nd period against BU in favor of Cowley. If Monty decides to stick to this strategy of rotating Jaillet and Cowley, the CC weekend will give both goalies the opportunity to build some needed confidence. On the other bench, the Tigers have been, in a word, bad. Their 0-8-0 record certainly bears that out. Through 8 games they've been outscored 30-11. It has been a tough season thus far for the Black and Yellow. Not only are they desperate for wins, they're desperate just to score. In their last 4 games, they've been shut out three times, including both games against Boston College. Since being swept at the hands of UMass (Amherst, not Lowell) to start the season, CC hasn't managed to tally even 30 shots in any game. Offense, defense, goaltending. It's all just been very bad for the Tigers. But that's no reason to take the Tigers lightly. Denver fans know all too well that the rankings and records might as well be thrown out the window when the Pios and Tigers tangle. Last year, it was an absolute shock to see one team run away with the series. In the four game sweep, Denver outscored CC 23-8 including an 8-1 victory in game one of the season series. It would be foolish for Denver fans to expect a similar result this year. It's true that a second consecutive Denver sweep is certainly a plausible outcome, but these two programs just don't like each other when they step onto the ice to face each other. 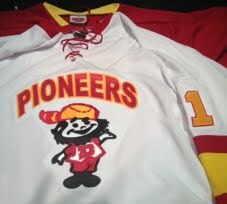 If the Pioneers take the Tigers lightly at all this weekend, Denver will lose. It's as simple as that. However, Denver is the better team. The Pios have more talent, more experience (The Tigers have 14 freshmen on their roster), and will be desperate for two victories after the worst-case scenario played out in Boston last weekend. It's difficult to find a scenario where Denver loses a game this weekend. The crowd in Colorado Springs on Saturday will be large, but potentially uninterested while the crowd at Magness Arena on Friday figures to be loud and active, a problem for a young, visiting team. My prediction? 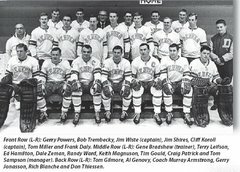 Denver will sweep and clinch the Gold Pan early: 5-1 Friday, 4-2 Saturday. The Pios will be back on track after this weekend. The Gold Pan Trophy is going to stay home. 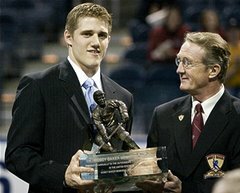 In 4 career games against the Tigers, Danton Heinen has 5G-4A-9P; Will Butcher and Dylan Gambrell lead the Pios in scoring through 6 games with 6 points apiece; Heinen, Matt Marcinew, and Quentin Shore lead the team in goals scored with 3 per player; After his poor game against the Terriers, Tanner Jaillet has a 3.22 GAA; No one on the Tigers' roster has more than 5 points and 3 goals through 8 games; The Pioneers will be attempting to find the back of the net against either Freshman netminder Jacob Nehama (0-5-0, 4.19 GAA, .895 SV%) or Junior Tyler Marble (0-3-0, 3.06 GAA, .904SV%). I watched the BC last weekend in Boston. Way too many odd man rushes.BC played a physical game and DU could not compete with their size and strength. The defense needs to step up this weekend and give some support to our goaltenders. On a positive note, Will Butcher reminded me a lot of Joey L. He has a wicked shot. Let's hope the vocal DU section will be allowed to cheer on their Pioneers and not be censored. After last weekend's setback, it's time for DU to get back on the winning track. Looking forward to a loud crowd, several adult beverages, and DU mopping the floor with CC. Coach said on the radio after the game that Matt VanVoorhis has a grade 1 concussion because of that hit he took and was dizzy. Will not play Saturday. The dude who hit him better watch his back. I bet he gets wacked in World Arena. Enjoy the bus ride home, Losers. Sellout tonight - huge student section with loud students standing well above the band. DU blew the game open at 4-1, but CC stormed back to cut the lead to 4-3 in the third, before DU iced it with a Marcinew empty netter. DU was a step ahead of CC for most of the night and badly outshot CC. The Tigers did get a bit on jump during their comeback, but the hole was too large. CC does not have anyone at the talent level of Heinen, Moore or Butcher, who scored elite level goals tonight. Evan Cowley did not have a great game tonight and Matt VanVoorhis suffered a concussion on a hit from behind that will keep him out of tomorrow's game. 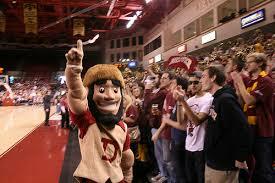 DU can wrap up the Gold Pan tomorrow with a win in Co Sprins.